On 30 April 2014 we bid a fond farewell to our old £50 note. After twenty years of service from 1994 to 2014 the £50 banknote bearing the portrait of John Houblon has retired from circulation and disappeared from our wallets forever. From May onwards, only the £50 banknote featuring Matthew Boulton and James Watt, which was introduced in 2011, kept holding legal tender status. 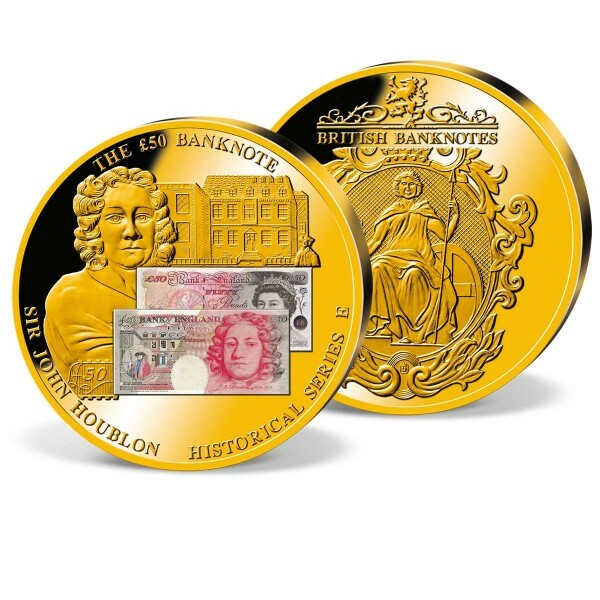 Sir John Houblonwas appointed as the Bank's first governor in 1694 and in 1994, to coincide with The Bank of England's 300th anniversary the £50 banknote with his portrait was first issued. The past centuries have seen many changes, not just in the role of the Bank of England, but also in the design of our banknotes, from the first handwritten bills of exchange through to the complex and sophisticated designs seen today, indeed the Bank of England recently announced that a £5 plastic banknote featuring Sir Winston Churchill is scheduled for release in 2016.